Wipe-ability, coverability, colorstay. These are the top three factors to consider when selecting the perfect paint for your home or office. and then there’s Benjamin Moore. 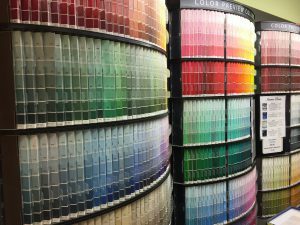 As the only Benjamin Moore Paint carrier in Jefferson City, MO, Scruggs Lumber carries an extensive selection of Benjamin Moore Paints for homeowners, professional paint contractors and businesses across Central Missouri. 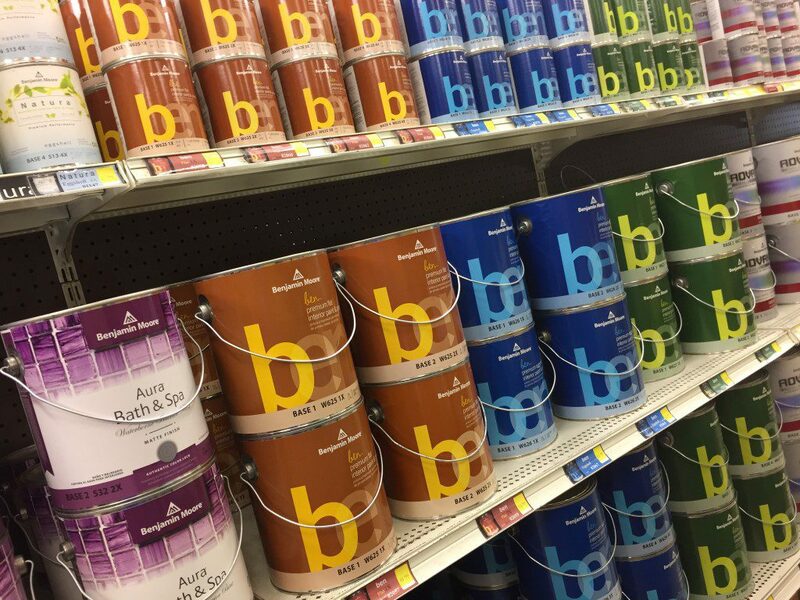 We carry a wide variety of good-better-best selections to suit any budget, including our top-seller, ben®, a user-friendly interior paint that produces flawless results while putting premium colors within your reach. We combine our extensive knowledge with real-life experience and work directly with you to find the right Benjamin Moore paint for your budget, timeline, and taste. You can’t just find these colors anywhere. Benjamin Moore Paint is known for their level of dedication to researching the latest color trends to provide you with a huge variety of beautiful, rich and stylish colors to choose from. With all of the hottest 2017 color trends to choose from, you can enhance any room in your home or office to reflect the ideal mood. A design crew to guide you at no additional cost? That’s right. Our professional decor department is here to guide you through our Benjamin Moore Paint selections and offer color-coordination advice to make sure you’re nothing less than thrilled with your color selection. I need a paint that’s both paint and primer in one. 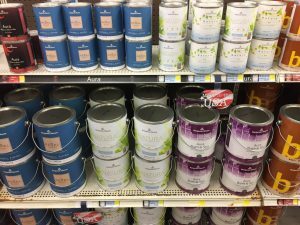 You see Paint + Primer stretched across paint can labels at every home improvement store you visit. This is a sales gimmick. Every paint has primer in it. Higher quality paints contain more primer and less water, giving it more substance to create a rich, buttery texture. This allows the paint to dry slowly enough for you to catch even the smallest imperfections as you’re rolling out your color. The more primer, the thicker the paint; and the thicker the paint, the better the coverage and colorstay. I want paint that dries fast so I can get my project done quickly. Piggybacking off of the Paint + Primer gimmick, fast-drying or lower quality paints contain less primer and more water, enabling the paint to dry more quickly as the water in it evaporates. Fast-drying paint isn’t ideal for correcting mistakes as you’re covering your walls. You’ll get more bang for your buck when you choose a high-quality paint like Benjamin Moore.